Over the last few months, many ongoing project activities have taken place in the Green Wheels project. First of all, in May we accomplished the first project report that covered the first half year cycle of the project development. The project is being evaluated not only internally, but also externally by an independent expert. All reports, including the project report, dissemination reports, evaluation and quality report as well the independent assessment report are regularly sent to the European Commission for evaluation and feedback too. 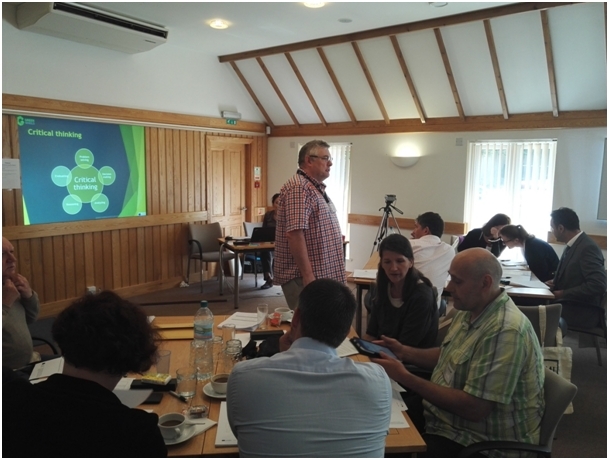 In June we organized a 2nd project meeting in Hertford in the United Kingdom. Attendees from all 14 project partner organizations joined the meeting to discuss the project development so far and to set up the goals and activities for the next period. At the meeting, the Pilot Package of the developed teaching and learning materials was introduced and all partners shared feedback and suggestions for further development. During the summer break teachers from the 4 partner schools started working on the translation of the Pilot Package materials. 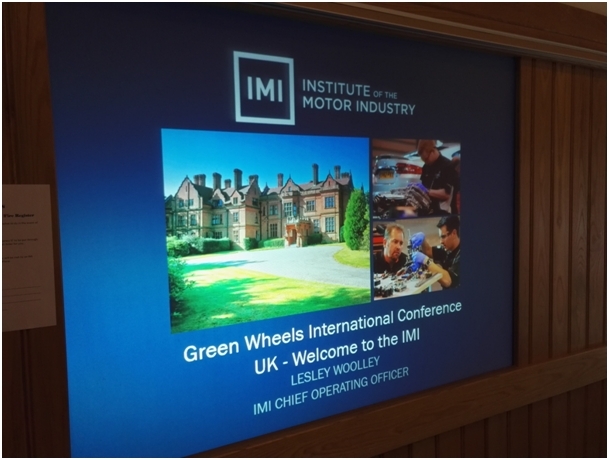 The first 20 worksheets (out of the 80 planned), CLIL worksheets, methodology guides and related materials have been being developed by the IMI and other UK experts. We are struggling towards having the materials ready for testing and piloting at school to start early September. We are planning to organize regular national meetings with the country project partners to evaluate the tested and piloted worksheets, collect feedback and work on the national versions of the learning material. The Czech National Institute for Education (NUV) together with the other country regulatory bodies (NUV and SIOV) have introduced the first version of the ECVET units system based on the learning materials developed. The system is a preliminary design and will be continually updated with contributions of all project partners to reflect the country variations and specifics to the curricula. The Slovak SIOV is a leading partner of the teacher trainings on innovative methodology that is part and parcel of our project. They have organized several trainings for country mentors and teachers from the project partners schools focusing on the innovative methods used in the project . The next training for Czech and Slovak partner schools will take place in Brno on September the 21st, and trainings in the other two countries- the United Kingdom and Hungary- are to follow. 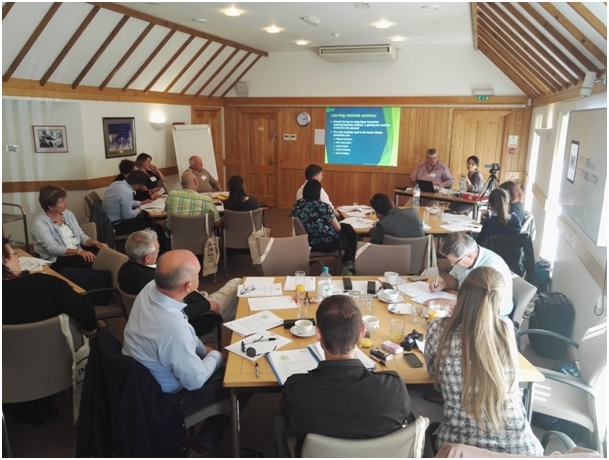 As our aim is to disseminate the training methodology and the developed materials also outside the project partnership, we are currently discussing the ways to reach the target audience by using the webinars, online mentoring system, social media, etc. The main aim of the coming period is to focus on the testing and piloting of the developed materials to make sure they are attractive for teachers and students, reflect the innovative methodology, and work on disseminating the project results among as many schools and interested partners as possible. At the same time, we want to make sure that teachers understand the innovative aspect and the philosophy of our materials and are able to apply them into practice properly, that’s why it’s important to offer trainings to as many teachers and schools as possible. All project related activities are to be found on the Green Wheels website, which exists in 4 language mutations, plus we have also been working on the Facebook of the project . We are definitely going to exploit the use of social media even more to reach the target audience.